The product quality is good, we take the mug for promotion, our customers likes it! I love the design of the mug, look forward to our future business. Your quickly response, quanlity products,and fast delivery, gain our trust! Choose us choose better prices and servieces, because you are buying productus directly from an experienced manuafacturer. 1 we are a color changing mug and sublimation mug manufacturer since 1994, specialize in providing personalized mug logo design and pictures printing according our customers needs. The qualities of our products are highly recognized by our customers worldwide. 2. Years of export experiences and after-sale services experiences help our customers to deliver the orders all around the world with out care. Q.1: What is color changing mug? A.1 Color changing mug is the mug which changing colors. it's temperature sensitive. when you pour hot coffee or tea, icy beverage, the color of the mug will be changed, reveal the picture hidden. It's an amazing effect to people, that' why is called magic mug too. Q.2: What temperature that mug will be changed? A.2: Usually, for the hot color changing mugs, when the temperature is above 45 degree, the design will be changed; for cold color changing mugs, when the temperature is below 17 or 13 degree, the design will be changed. Q.3: What kind of mugs do we have ? Q.4: How to design the hot or cold color changing artwork ? A.4: Hot changing design should be changed from dark color to light by pouring hot water. So befor changing the magic layer shall be black/ dark/ green/ dark blue/ dark brown etc. red or purple color is also ok , but can not cover the design completely( no limitation to the hot design). cold color changing design should be changing from light color to dark color by pouring cold water. Q.5: What should we pay more attention when we use the color changing mugs ? Q.6: What is the process craft of color changing mugs? (a) Direct printing: It can transfer printing or surfaces printing print on the mug directly. This craft suit for simple design, small quantity. Whether need to bakeout depends on the material. (b). Water transfer: First print the image on the paper, secondly combined with silk screen printing, spraying printing, thirdly put the transferred paper into the water, picture leave the paper, fourth stick the picture on the mug, them bakeout made up articles. (c). Heat transfer: Stick the heat transfer paper on the mug, and use the mug baking machine bake the picture on the mug. It takes 3-4 minutes. This is the easiest craft for making color changing mug. It isuit for individual customized products. (d). Spray finishing: We use paint spraying process the color changing material coated outside the mug. This craft is used for ful color changing mugs. Q.7: Whether the Color changing mug is poisonous? A.7: When the blank mug, color changing materials, and auxiliary materials, manufacturers has been fully considered? 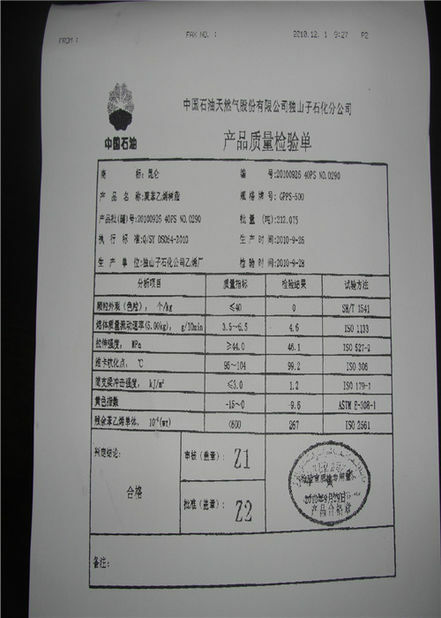 Whether these materials are passed the inspection of SGS, and ITS, or other Testing on the detection, annswer is Yes, no harm to us, non-toxic processed into color changing mug. also tested according to food containers acetate soak test, non-toxic, lead-free, chrome-free, meet European standards and FDA standard, though everyone be at ease use. Cost savings, choose industrial-class material, this kind of undesirable product will not in consideration. Q.8: What is the FDA test ? A.8: Food and D-rug Administration, is one of the Word class food and drug adminstration. 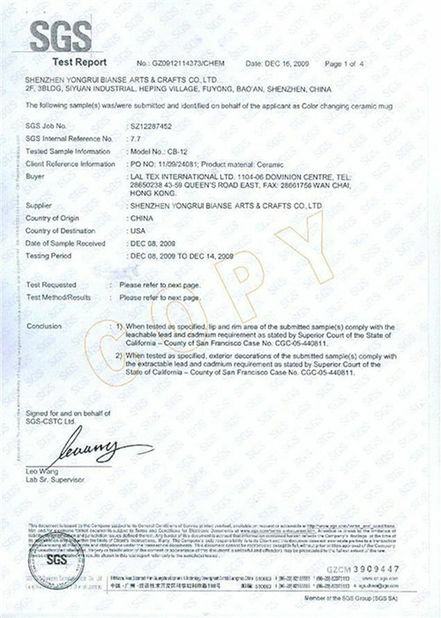 Specifically for food, pharmaceutical, medical equipment and other products for safety prosecuted. By acetic acid immesion, test cup of heavy metal heavy metal content. Standard within qualified, standard outside is unqualified. By acetic acid immersion, test cup of heavy metal heavy metal content. Standard within qualified, standard outside is unqualified. All of our product can pass the FDA test. Q.9: How long of the color changing effect can keep? A.9:(a) For hot changing mugs, when the water become to cold which is lower to 45 degree, the design will go back as before. (b) For cold changing mugs, when the water become hot which is over 17 degree, the design will go back as before. 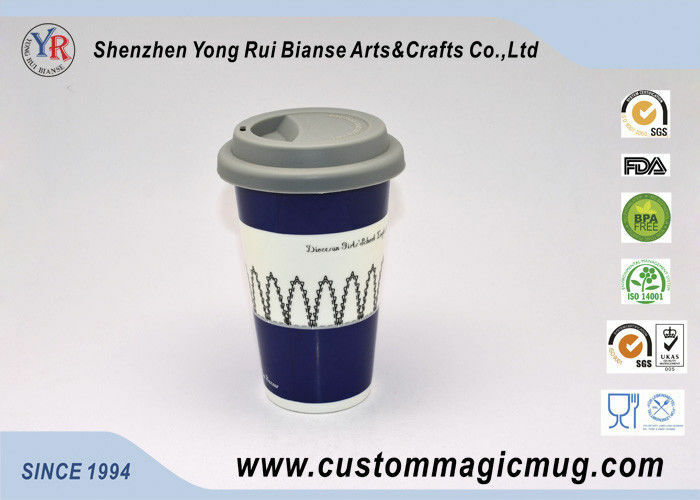 China Good Quality Custom Magic Mug Supplier. Copyright © 2015 - 2019 custommagicmug.com. All Rights Reserved.